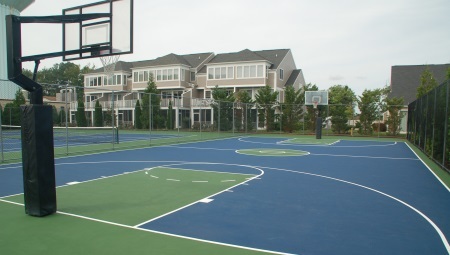 The community’s basketball court is regulation-sized, located adjacent to its tennis courts and, like the tennis courts, recently re-finished in a navy blue (playing surface) and forest green (boundaries). The community has two regulation-sized, hard surface tennis courts which have been recently re-surfaced to recreate the look of the color scheme used at the USTA Billie Jean King National Tennis Center in Flushing Meadows. The community’s fitness center is open daily from 6:00 AM—10:00 PM. The fitness center is located on the 2nd floor of the clubhouse and features 6 commercial grade cardiovascular machines (treadmills, stair steppers, stationary bicycles) and 4 free-standing weight machines, free weights and palates bar. The area also includes a full kitchen, restroom, spring water, tv and an assortment of books and dvds for its property owners use. The views from the fitness center are magnificent offering majestic panoramas of the Little Assawoman Bay and one of its man-made lakes. The community features an Olympic-sized outdoor pool, a children’s pool and 10.000 SF of exterior decking with an appropriate complement of patio tables, umbrellas, chairs and lounge chairs. 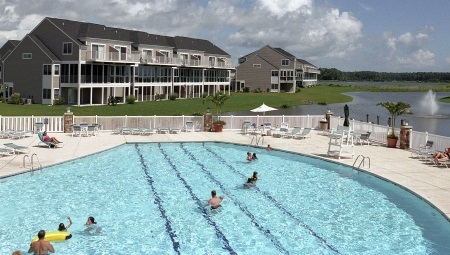 The pool complex also include a staging area for small parties, restrooms and shower facilities. First State Residential, the community’s property management company also has an office on the 1st floor of the clubhouse building. Stephan Kaganzev is the representative for First State Residential and conducts office hours from 9:00-5:00 weekdays. The pool complex is open daily from 9:00 AM—8:00 PM (specifically from Memorial Day—Labor Day...however, during most seasons, the complex will open the week before and closes the week after this time period) and the pool is staffed by a licensed lifeguard. Access to the pool complex is restricted to community homeowners, their guests and their tenants/renters. 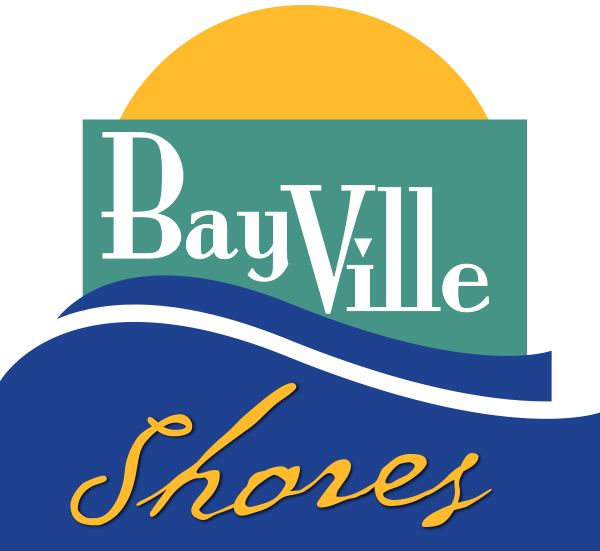 All of the community’s amenities are secured from outside use of those facilities via electronic key fobs under the control and supervision of the management company. 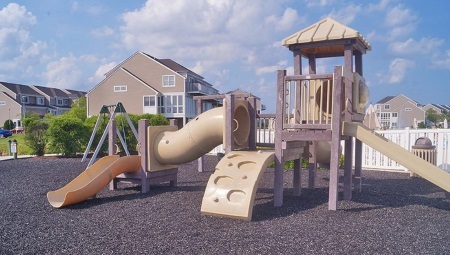 The community’s tot lot features an array of child friendly jungle jims, slides, swings, etc., all nestled on a safety zone of rubberized mulch. 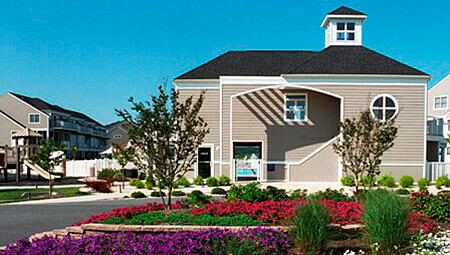 It is centrally located adjacent to the pool complex and clubhouse. The community’s volleyball court is beach volleyball at its finest. 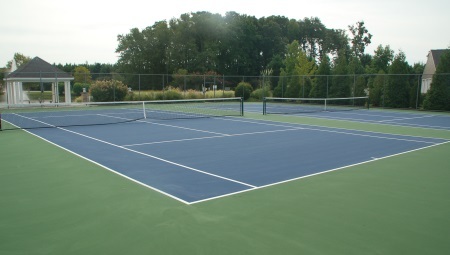 The court is centrally located within an easy walk from the pool complex and features a sand court surface. The community has two horseshoe pits located adjacent to the volleyball court. The shoes can be found in the fitness center. The community has a shuffleboard court located adjacent to the horseshoe pits. 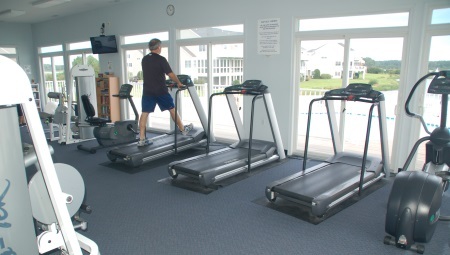 The equipment can be found in the fitness center.